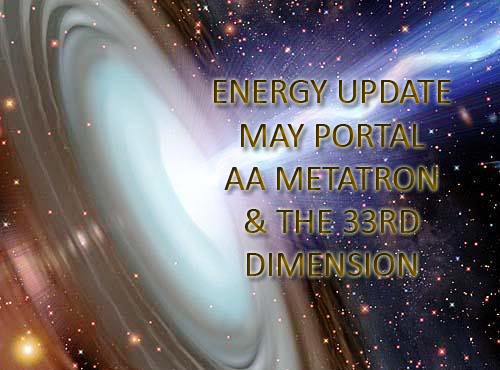 The cosmic gateway of truth, light, love, harmony and abundance has once again opened its heavenly gates for all to partake of. After a long convalesce and recuperation from the energies sent to you through the Grand Cardinal Cross, it is now time to take a deep breath of liberation. For you have done much releasing and restructuring within your psyche, for much has transpired within your souls and earthly vehicles. For many of you have indeed experienced the time without time, for many of you have indeed had to face your shadow selves in order to release the old, embrace your true selves and make room for the new. For many of you have indeed been plunged into your past, future and parallel realities meeting and merging with your “other selves”, pieces of your soul wandering through space and time, “touching base” if you will with ALL aspects of that which you are, maneuvering through an intricate dance of unconditional love and understanding of your own self. And so, the time is nigh, the time has come for you to once again rejoice! Rejoice for the energies of abundance, love and light are upon you. For the Full Moon of your present reality has brought with her strong, overpowering energies of success, propelling you in the direction of your deepest desires and life purpose. Arch Angel Michael’s tool works on Throat Chakra and Base Chakra simultaneously. We all know that AA Michael is an angel of truth, courage, strength, protection. AA Michael is represented by the BLUE color which is what you see on this tool, represented by Blue Topaz. 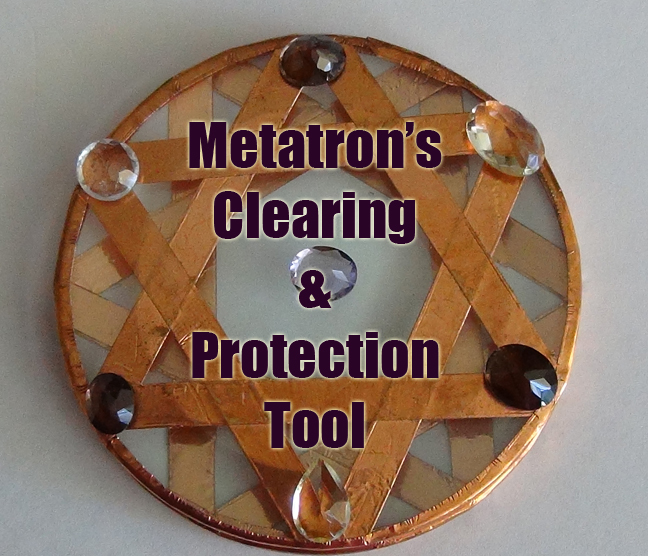 This tool also incorporates the energies of the Base Chakra represented by Red Garnet. The reason is to activate your Base Charka stabilizing you in order to allow you to speak your truth, be courageous and feel at peace with your surroundings. in months to come, as you stand in the wake of the grand opening of the events that shall propel humanity even further still to the new age, the new era of complete and utter understanding and openness of the informational decree bestowed upon humanity. And so it is your chance, your opportunity to utilize the incoming energies to your advantage and to transform all that no longer positively serves you and stands in your way. For following the opening of the gateway of the Full Moon, you shall encounter an even greater push of the energies, push as if someone is pushing you into action, for you higher selves and your guarding angels are indeed pushing you to take action, take action and bring forth that which you wish to accomplish, bring forth your true selves, bring forth your own truth, and your experiences therein. For many of you such time shall come following May 20th and continue for the duration of several weeks. For the gates have indeed opened once more and the opportunity to take action is nigh. We stand with you, waiting at the threshold for the new realities that are fastly unfolding before many of you, for many you have indeed began to see that which you have not been able to see prior, for many of you are indeed seeing us, in our natural form, as orbs, as light beings, as burst of energies, as angels, for we are here with you, for we always have been and we shall forever remain your loving companions. We the angels and arch angels of the 33rd parallel of the 33rd Dimension, bow to you in gratitude and eternal unconditional love. We stand by you ready to assist you in all that you are. We love you. We are with you. Goodbye For now. These messages are so helpful…. I have been seeing my shadow side which has been painful and depressing until I realised that when you can see and understand something like that about yourself – it opens the way to consciously changing it and that is E.M.P.O.W.E.R.I.N.G.!!! These messages not only bring me hope but they also help me identify in myself things that I would probably miss had I not read this message…..
An infinity of love to you…..
Reblogged this on Nicole's Truth of Heaven. Thank you so much Anna, you fill all with encouragement, hope, love, and light! I didn’t realize how weirdly shy I can become to re-post to you both re: writing comments to you both from the Max post!!!!!!! (and the other of course)! Shyness and being overwhelmed are two blockages I just realized that hinders ones’ joy!!! Fearing rejection and fearing reproach of unworthiness or ridicule is a valid block to be cleared from. You both have just PUSHED, as your channeling stated, a giant sized red button for me to move on from!!! Over here in England, I feel that the overall character shows this lack of shining our light like a two year old child does naturally!!! Being cool and stoic is definitely the way to be over here mostly, it’s true! We’ve developed this so much that we have a dry sense of humour about it. I know it’s funny and quaint but I know now that this way of being needs re-balancing in order for us to PUSH FORWARD as you say AnnA. Anyhoiw, this has just transpired to be my present experience after reading Wonderful Eduard’s comment and your comment AnnA. Your passion and AnnA’s passion are the same as mine!!!!!!! I don’t know anybody’s passion that is as passionate for healing as you both!!!!!!! I can actually enter your space EDuard and start the process!!!!!!! I hope AnnA allows me too? Those words of encouragement, Light-healing and Love ignites the source o my passion to heal whatever our Divinity leads us to heal:D Wish I had a smile big enough to show you my humble appreciation EDuard:D!!! I know you are being continually trained but I also know that you now have ample room for my input, so to speak!!! 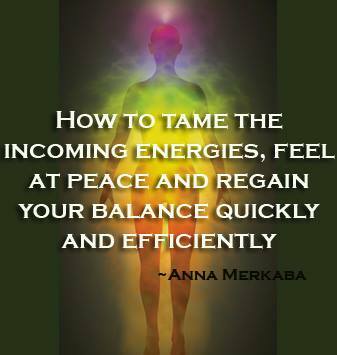 Yes, that’s it, I feel totally safe with your energy dynamics and AnnA’s, that’s it!!! Hence my faith in unlimited healing!!! Feeling still a little tiny bit shy in saying this to you EDuarD but it’s funny ‘cos as soon as I feel this shyness and then write it, a sort of split/second later, the shyness feels healed again!!! It’s like a blinking in and out of a process of healing in action!!! Please go in….with in…..and do look and feel…. THE ONE-DER THAT IS YOU !!! so go out to The Galactic Center…. of THE ALL THAT IS YOU……and blossoming…..
all around you…..and the cities…. AwHHH… THANKYOU for your wonderfully encouraging reply DEAR EDuarD!!!!!!! This one-der is a Divine entrance into true passion of feeling Light and Love!!!!!!! = GloryKu from The NOW Moment for…..
….and to our most sweetly be love one…. Anna….I am now sending my energy of …. ooohhh love and how you serve and share..
Just in time to allow the portal to open more for tomorrow!!! Thankyou soooo much EDuaRD:D !!!!!!! I wish I could give you and AnnA A MASSIVE HUG ROM ME!!!!!!! Going to meditate when I have more time before tomorrow with the precious sun-disc and FEEL (yes taht word that you mentioned a few times whilst I read your messages, especially coming from a male gender has pressed another giant red button from which I needed the anch disc for has allowed me to FEEL a VERY DARK journey. But with FEELING and TRUSTING your CLEANED-UP energies from a male point of view is expotentially HEALING and CLEANING this FEEL ENERGY)!!! YOU JUST DID HUG ME!!! LOL….. THE OCEAN OF THE ALL THAT IS…. = the all that is you as Berni….yes !!! The ‘hand’…is a most power full tool…. Hold your hand up…to your ‘mirror’…. as I hold my hand up…to my ‘mirror’…. == so what is ‘dark’…a perception…of ‘IT’…. ….so we can clear….’IT’…..and ask ‘IT’…. yes…YES WE CAN AND DO…. AND IT IS YOU…..THAT IS FULLY YOU !!! HOLD AND EMBRACE THE SELF THAT IS …YOU!!! = do you feel how much I am in love of you !!! where did you come from…and where is it you go…. As HEaLing HEaLS I definitely Shout BINGO@1!!!!!!! TO ALcHEMiCALLY TRaNSFORM LEAD INTO GOLD – OnE OF FIRST TEN!!! AND YOU BEAM THE ALL THAT IS YOU!!! and we see that which we are…. ….and it is you..that ‘shows’…uP !!!! HoW are YOU FeeLING EDuaRD? EDUARD:) I KNOW this is beneficial for THE WHOLE AS WE IN TEnD TO the feelings that A RisE As we POur _ out fRoM OuR THIN KiNG MiND And so…….Breathe from TERRA ………..
I’m not going to doubt everything that ‘comes up’ if it feels embarrassing anymore, I’m not! vealing FoR THE WHOLE……YES! YES! YES! THANK YOU, THANK YOU and THANK YOU! I FOR_GiVE, THANK YOU, I LOVE YOU, AMEN, AMEN, AMEN!!! How on earth did you send an e-mail for me to reply? I just cannot believe how illogical Iam with computer stuff!!! Thankyou for sending a ‘leave reply’ for me EDuarD! I haven’t consciously found the right places to press in order to let you know for you to possibly reply!!! Oh! Gosh!!! Anyway!!! I posted one comment on ‘MAY PORTAL SUCCESS’ dated May 25th at 6.48am. And then 2 more on ‘Sirian High Council’ dated: May 24th at 6.53am and lastly on May25th at 9.08am. Yes I have failings galore with linear – detailed skills!!! So Sorry EDuaRD!!!!!!! I’ve just made the same mistake again!!!!!!! Ifeel like Norman Wisdom most of the time anyhow, so I’ll just have to accept and start loving this debillitating trait I possess!!! I can allow that atomic energy to spread to THE WHOLE. Please scroll up from the last comment I made at 10.26am EDuarD as I forgot AGAIN to let you know I made another comment at 9.47am!!! ALL LOVE BE YOU !!! It may take a while to locate you as I’ve been trying for nearly an hour now Norman Wisdom style:( I’ll have to concede and ask someone to help me, but that’ll take along while too!!! I told you Iam computer – illiterate!!! So frustrating! I wonder if, maybe you could possibly e-mail me on berni2004@live.co.uk EDuaRD as I’ll just be travelling the cosmos into all sorts of stratospheres and never, ever reaching you again!!!!!!! I bet I’ve annoyed and put you out BIG-TIME!!! Story of my life with my lack of factual understanding! So Sorry EDuaRD!!! Dearest EDuaRD ….. I wish I could …………. I know this is the fourth comment today but with the Love and Appreciation I feel for YOU, I just cannot stop! The feeling is generating so naturally! The feeling is generating healing and it’s ALL ENCOMPASSING EDuaRD with YOU@1…. TERRA, GALACTIC CENTRE OF LIBERTY! I RE JOICE IN ECSTASY OF LOVE FOR THEE ET AL FOR ETERNITY! HEAL, HEAL, HEAL FOR THE G_ RACE OF LIBERTY, NURTURANCE, EMPATHY AND JUSTICE… ALL…JUSTICE….FOR ALL…. 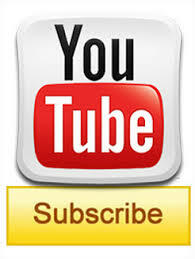 Forgot to press the button to notify you again for last comment!!! you share with all of us….here and now..
oooooh! To THE DIVINITY OF FEMININITY! We thankk YOU for your Love that has now manifested into new expre/SION OF LOVE from twinned_entwined Love…..
mid-wifed from the three Goddess Love!!! DO YOU SEE THIS !!! THE PORT ALL TRIO PLAYS…!!!! To YOU MAGDA!!! (Whom I have been dreaming about, searching for, through ley-line of Love…The mystery of Divine Femininity at work! He…RA…L…Ding’… new Fee_L-ing of empowerment, strength and Compas_Sion!!! oooooohhhhhh!!! Iam so sweetly in Love…..
Natalya gifting Joyous Christmas PR-E_sents to the Ones who want to Love as One for Etaernity! Mid-Wiefd F_Rom The THE THREE GODDESS LOVE!!! The THREE GODDESS AKA LOVE……IT is done for Eternity…….